It’s important to be aware of the problems associated with poorly managed data; being unable to find the files that you need can lead to serious issues when it comes to tracking down crucial information, and can cause broader inefficiencies in terms of compliance. As a result, it’s worth looking into comprehensive data recording and retrieval services such as Intelligent Voice that can help you to both streamline your records, and avoid recurring problems with inefficiently stored data. Poor data records management and maintaining irrelevant data in your archives can cause long term problems - - you can end up with duplicated data, as well as issues with cross referencing relevant files. Over time, small problems with irrelevant records can lead to general inefficiencies, meaning that anyone trying to assemble an accurate picture of a company’s performance, or auditing past performance, will have to do a lot more manual work. Recent criticism of the NHS’s badly managed IT system and records has particularly indicated what can happen when a plan isn’t properly laid out for cataloguing data before a system goes live. Companies arguably can’t afford to avoid updating their records management systems in the future, with systems and data capture services potentially being unable to keep track of new records - - there are estimates that data storage demands will rise from 1.3 trillion records in 2010 to 35 trillion by 2020, making it increasingly difficult for businesses and public institutions to safely back up and avoid accidentally losing important files. Given current controversies over the NSA and data protection, not having a clear policy and set of regulations to prevent data from being mishandled is unacceptable for a business handling public records. The recent case of a Danish mobile company that fell foul of e-privacy directives provides just one example of how data can be retained for too long, or can be stored in such a way that it breaks privacy rulings and requires significant overhaul to be restored to a legal status. 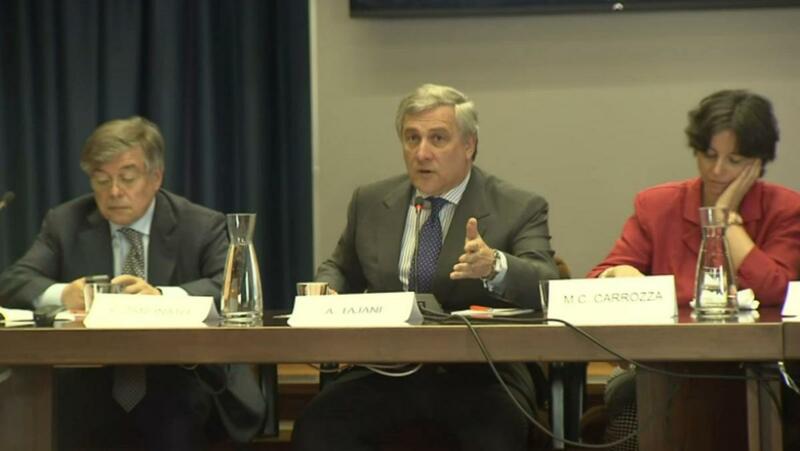 To this end, businesses should look into finding a more efficient solution for managing their existing data, and for retrieving important files and video and voice records; for calls, it’s imperative for companies to be able to forensically examine their records for keywords and patterns, rather than having to trawl through huge amounts of potentially ambiguous data. Voice recognition software that can break down data into relevant keywords and contexts can be used here to better catalogue records. Not having some form of records management system, and avoiding the latest search and retrieval technologies, could therefore be very costly for your business. You should make sure that you understand what level of detail you need to pursue for your records, and how you can properly index and audit them to prevent longer term problems from emerging. Obscuring relevant data through poor record keeping could be costly if you discover that you’ve skipped over crucial information for a case, and should be avoided. Rosette blogs about the importance of efficient records management. She recommends investigating the latest smart data solutions from Intelligent Voice for managing your records. She also writes about the importance of backing up your data to different locations. We always want to give our home a new decoration and design that pleases everyone, weather neighbor or our relatives. However, managing all this for oneself can be crucial and time consuming with no concise results. That’s why, Granny Annex can leaves much pressure from your mind with a sense of everything going perfect and your home, garden, bedroom or living area will become much alive. No one wants to invest time and money every time to make their homes look more attractive or at least don’t looks old at all. 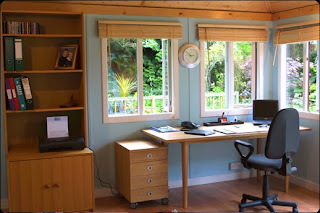 With rapidly increasing costs of redefining decorations of garden or bedroom area, Granny annex provides cost efficient solution while addressing all your needs. It’ll try and make sure that all the spaces has been fitted accurately and gives maximum possible furnishing in as low cost as possible. Moreover, families living in granny annex home, garden or bathroom will never feel different than their very own home or garden. Giving some extra space for living to your family members won’t go unnoticed. Your family may feel free and even better, can utilize it for some better purpose. The best thing is, you can now have some extra space with Hudson Granny Annex at attractive packages. There are mainly three types of granny annex services will be provided by Hudson Garden rooms: Multiple bedrooms, En-suite functions or a fully fitted kitchen. Perfect solution for outstanding garden decorations like your very own bedrooms. Follow all the planning permission agencies guidelines. A great way to make happy your loved ones while keeping an spy eye on them even without taking them in your main bedroom or home space. Extensive guaranteed duration, say 15 or 20 years for which Granny annex will be responsible to decorate, maintain or renovate any problems arisen during that period. If you ever want to make your relatives not so far and always close around your home, use Granny Annex to utilizes some free space and makes it useful for such living purpose. Loosing equipments is the most painful experience and unfortunately, we hardly get them back if once stolen. However, instead of feeling this pain you could take some safety measures and use modern equipments to keep your favorite bike or bicycle safe anywhere. We had combined some useful tips and advices based on the experience about how user might lose their bicycle even after taking all the safety measures and how they can avoid losing it again in future. Around 15,000 Bicycles were stolen in UK in the year 2013. Thief and eavesdropper already have an idea about most of your security or safety measures and 99% they get success in breaking it. Using help of some modern bicycle storage equipments and accessories, we prevent almost 60% or above theft cases. 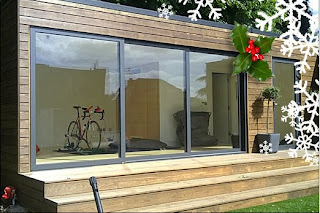 Quality bike storage or bicycle storage have very slim chances of getting your parked bike to be take away by thief. Different bike storing equipments like bike shelters, bike racks, bike stands, cycle lockers etc. were available for shop owners or offices to give their visitor a pleasant experience of safely storing their bikes and feels relaxed even when they were not around. To ensure your bike safety and reduce insurance premium, use authorized bike alarms immobilizer which detects thief easily and inform you before somebody take away your bike. Don’t hesitate to spend some money in buying good quality locks for your motorbike as the better your motorbike locking system, the better safety of your bike. Thief can’t get easily success on powerful locks and don’t ever dare to touch bikes with such locks. With some basic measures and safety tips, you could avoid most of the bike theft cases. So it’s all up to you to take those measures in consideration and or allow thief to take away your bikes and sell them in pieces. There is no denying that being a business owner in today's world means staying on top of the latest trends in technology. This remains true no matter what industry you may be in. Therefore, if you are looking to increase customer satisfaction and perhaps even gain some new customers in the process, it may be time to make some technological upgrades within your business. This article will cover five ways in which your business can embrace technology for better results. If your business does not already have a social media account, now is the time to make one. Not only are these free, but these can be a great and fun way to promote your business. Consider creating company accounts on websites such as Facebook and Twitter for the best results. These days, more consumers rely on e-mail as a way of finding out about company promotions than ever before. Therefore, you may want to consider setting up an e-mail marketing account, which will allow you to send out e-mail blasts to your customers and potential customers. Rather than requiring your paying customers to submit their bills in person or via snail mail, why not save your customers and you some time and money by installing a bill payment kiosk? This can be a great and convenient way for your customers to pay their bills and will cut down on losses for your business. If your business website is not already optimized to be viewed on smartphones and other mobile devices, now is the time to make that happen. Consider hiring a web developer to optimize your sites so that they can be viewed well on just about any device. After all, did you know that the majority of people these days use the Internet from a mobile device rather than from a desktop computer? Aside from using social media to spread the word about your website, you may also want to consider hiring a professional marketer to place ads for your business on the Web. This can be a great way to attract new customers and to take advantage of technology so that it works in your favor. There are so many ways to utilize technology to your company' advantage, so be sure to give some or all of these a try for yourself. Tablets have a great many advantages for businesses over regular computers and there are plenty of very good reasons to use them as well as or even instead of larger, more traditional machines. If you currently aren't making use of tablets in your business though, then it may be because you don't know just what they can be useful for. There are plenty of ways that tablets could probably fit into your workflow, but until you discover them they may not be obvious or forthcoming. 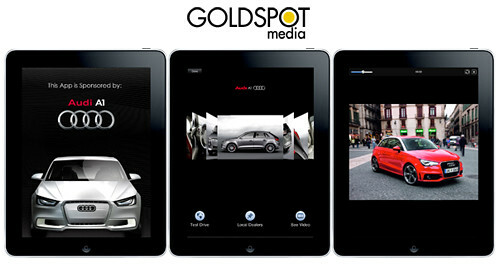 Read on to discover some of the many applications for tablets in your business. If you work in an office then believe it or not tablets these days can make full replacements for desktop computers. This is particularly true for the new breed of Windows 8.1 'hybrid' tablets and slates, which can convert from tablets to laptops through a range of transformations. These devices run full Windows and that includes all the 'legacy' software you might use in your organisation. At the same time though, they also sport lightweight form-factors, touchscreens and long battery lives (and often support stylus input too). This allows for convenient 'upright' use and a much more casual way of working. Even if you go for an Android or iPad, there are now so many apps available in their respective stores that most of your productivity needs will be met – from web design, to word processing, to accounting. Lighter-weight tablets like Androids and iPads on the other hand are still cheaper and lighter compared with their Windows 8 counterparts which makes them more useful for working on the go and in a range of environments. Many companies then will now hand out these kinds of tablets to be used as notepads and communication tools for workers on-site. If you are a construction business for instance but you want your staff to occasionally update a spreadsheet on the cloud, then an iPad can be the perfect tool for doing that while also allowing your staff to stay in touch via e-mail. The Galaxy Note 10 can even be used to let customers sign-off your work or packages. Want a funky way to display information in your store or office? Then why not consider using an iPad to show a slideshow of today's specials or of your top products? It's a much more elegant and high-tech way to display information than using a chalkboard that will make your products or food look much more inviting and that will be far quicker and easier to update. 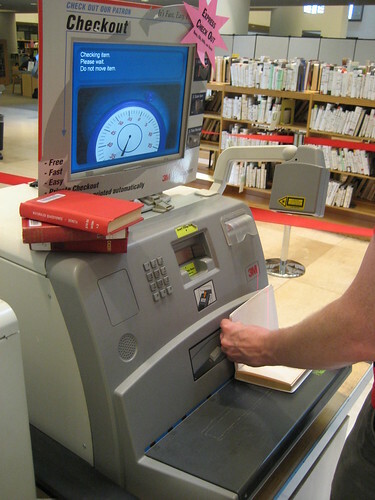 Point of Sales systems were once gigantic heavy tills until they were replaced by PCs that were attached to a till. Today they're getting even more practical as iPad software takes over. 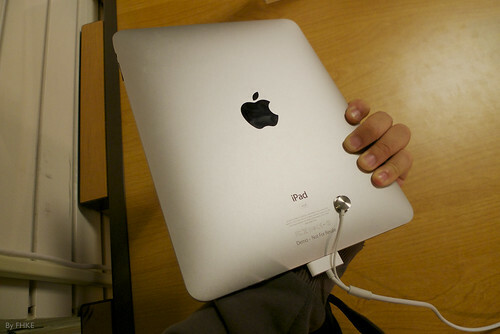 Mount an iPad into your desk and hide a cash-drawer somewhere and you can now completely remove that hulking piece of equipment that was blocking you from being able to see your customers and interact with them naturally. This is also a much more impressive, clean and practical way to take payments and will impress any of your customers. You can't very well use a laptop to give a presentation unless you have a projector as the keyboard creates too much of a 'barrier' between your audience and your screen. Instead then, you could consider using a tablet with a kickstand or carry case and even hand it around your meeting for people to inspect up close. It can be brought to tradeshows and handed to clients and generally will provide a much more intimate and intuitive way to show information. iPads can even replace self-checkout kiosks with the right software and hardware which will allow your customers to pay for their own items. This is a much cheaper way for you to provide this facility which will speed-up your turnover allowing you to provide a better experience for your customers (without the queuing) and to at the same time serve more buyers thus improving your profits. You can even hire fewer members of staff if this works well thus reducing your overheads. Nancy Baker, the author of this article, is a freelance blogger who is currently writing for Aireus, leading providers of POS software for restaurants. She is brilliant with software and enjoys experimenting and reviewing the latest technological advancements. You can also follow her on Twitter @Nancy Baker. If you're interested in burning things to disk I've got a nice treat for you today. We're going to look at some cool software options you have available to you. Each one is a little bit different so you're sure to find something you like and you'll be able to start burning anything straight away. If you're running low on money you should definitely have ImgBurn in your collection because it's so powerful considering it doesn't cost a cent. 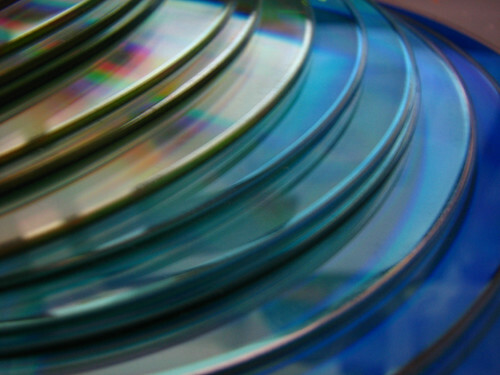 You will be able to burn almost anything imaginable from CDs all the way up to Blu-Ray disks. You can use it straight out of the box, or if you're a little more tech savvy you'll be able to play around with the burning options you'll find under the hood. CDBurnerXP is a little like ImgBurn because it has a lot of the same features and it's also very popular with people all over the web. You can burn anything you want including DVDs, CDs, and data disks. One highlight is the fact the user interface is a lot cleaner which is always nice. You'll also be able to burn things over multiple disks. Just be careful when you're installing the software because you might end up with a few extras if you're not careful. BurnAware has a fast burn speed so you won't have to sit around waiting too long when burning disks. Nearly half a million people install it on a monthly basis and when there are so many happy customers you know it's a great tool. You can create multi-session disks and you'll be able to burn all types of data. The interface is also cleaner than a lot of other burning software and if you want some extra features you can also upgrade to a paid version. Even though InfraRecorder is a great piece of free software it definitely lacks a few features compared to the others we've talked about. Unfortunately you'll not be able to burn Blu-Ray or HD-DVD disks which might be a deal breaker for some. If you don't need to burn those it might be worth looking into. One big reason is the ease at which you can organize your jobs because of the nice two-pane interface plus its reliability. You'll find a few useful features inside Ashampoo Burning Studio apart from the usual burning features you find in alternatives. There is an integrated audio ripped in case you need to rip the audio from any disks. You can also sleep easy at night because the multi-disk file backup will guarantee all your files stay safe. They have tried to keep everything as simple as possible so you don't get held up when using the software and when you combine it with those extra features it's a good tool. If you don't mind paying a little money you'll end up with a good tool, but unfortunately the free version doesn't come with nearly as many features. This isn't great considering those features can be found in free versions of other products. If you splash out on the pro version you'll be able to copy from disk-to-disk and you'll also be able to burn video DVDs. You might like the fact there is a portable version of the software so you can carry it around with you. If you're just a casual burner you might find any of these options fit your needs, so it's simply a case of trying them all and choosing the best one. If you're interested in taking things to the next level you might need to look closer at the exact features each one comes with. The author of this article, Nancy Baker, is a freelance blogger who is currently writing for 3xl, a CD duplication company in Brisbane. She is a movie-buff and spends her weekends with her friends at the movies. You can catch up with her on Twitter@Nancy Baker. 3D modelling is not normally a skill that everyone would automatically associate with running a website or blog. Websites tend to be rather 'flat' things, which are mostly created using HTML and CSS – editing codes that allow you to assign positions and sizes for certain elements on the screen in two dimensions. It might be worth learning Illustrator to create icons and graphics, but why would you need to create a 3D model? Well actually there are many highly effective uses for 3D modelling if you're a webmaster, any of which can help you to take your website to new heights and improve the overall experience for your visitors. One use for 3D modelling for example is to create more graphics and logos that will have an undeniably professional appearance. When you create a model in a CAD program (computer aided design) such as Blender or Rhinoceros, you will have the option to 'render' it with various textures and lighting in order to see what it would look like as something other than a wireframe. This is incredibly useful if you want to create a piece of three dimensional text as your logo for example, or if you want to create an image of what a 'future computer' might look like to go with an article on that topic. As most people don't know how to create 3D models, this will instantly make your site appear more professional – and it will further help that the image will be perfect in terms of symmetry and joining unlike a sketch which can contain errors. There are countless uses for images like these then – whether you want to create a background for your site made up of floating, reflective bubbles, whether you want to create graphics to go with your articles, or whether you need buttons and other elements for your site's navigation. As well as creating images and logos though, you can also use 3D modelling to create a range of other things that can help you to grow your business further. For instance you can not only render your models, but also animate them – perfect if you want to create a 3D opener for your YouTube channel for example, or if you want to animate a character for a promotional video. You can also animate your graphic in order to take stills – you could create a mascot for instance and then quickly and easily render them in numerous different positions to fit your needs. Much easier than re-drawing them every single time. Another use for 3D modelling meanwhile is 3D printing. 3D printing enables you to create real physical products from just a CAD file, and this can then allow you to sell numerous products from your website – whether you want to sell some unique promotional goods, or a gadget or ornament to fit in with your niche and your subject matter. If you run a fitness site for instance then you could start selling press up stands that your users could use to workout with, or you could start selling your own branded protein shakers. Any of these ideas will help you to monetise your business further as well as increases your brand awareness and helping get more people to fall in love with your website. Alternatively you could give the files away for free to allow people to make their own items, which can again be a great promotional strategy that will help get your business name out there. As you can see then, there are countless uses for modelling skills and once you learn them you'll find that more and more uses present themselves as you spot more opportunities to grow your site and your business model to new heights. Continuing to grow and develop your skills is one of the big secrets to succeeding online, and this is a great area to start with. The author of this post Nancy Baker, is a freelance blogger who is currently writing for Artec, specialists in 3D scanners. As a tech enthusiast, Nancy is always on the lookout for the latest gadgets that hit the marketplace. You can also follow her on Twitter @Nancy Baker. Deploying applications remotely on user computer over network without client interaction seems tough for IT professionals. However, with powerful technologies and newly invented software, anyone working in the large to mid size businesses can now install applications at user machine and have full control over it. 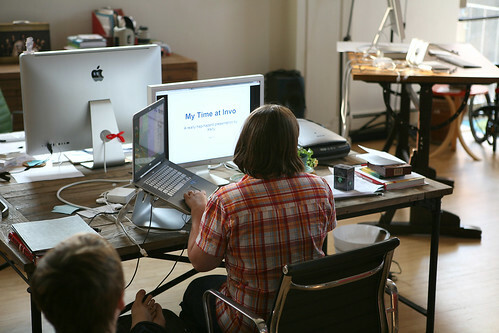 Installing applications on client computers and devices over network are packaged in a way that allows professionals to perform no more geeky things and no intervention needed at the part of end users. 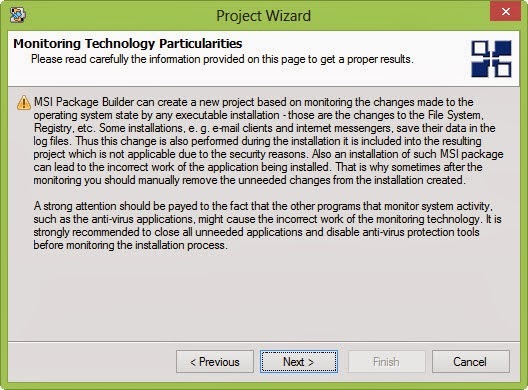 Such installations is known as silent installation and packages that support silent installations is called Windows Installer (.msi) packages, only possible in Windows environments. Since popular software manufacturers deliver only traditional setup files (.exe) format which requires manual procedures and user interaction that brings new challenges for companies that wants to automate the whole deployment process. To make this possible, tools were needed which can take .exe files and package them into .msi files, convert EXE to MSI. There are bunch of utilities were already available in the market that supports virtual installations of software/applications out of which, EMCO MSI package builder is the best of its kind and inspires me to write about it here. It has unique capabilities and many things to offer such as application compatibility testing, application format conversion suitable for application virtualization, easily migrated with system management platform etc. You can download and install it using the link mentioned above, follow same steps as you do while installing any other Windows program. Once the program is installed on your master computer, you can immediately start deploying applications to user computer. This tool incorporates Live Monitoring technology to keep track of all the file system and registry changes associated with the process of manually installing applications using its own .exe file and lets you tweak changes as per applications or services required. 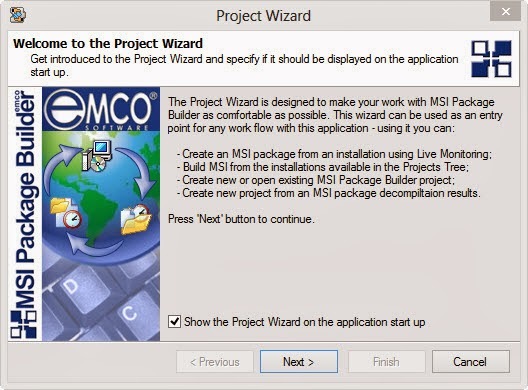 EMCO MSI package builder offers easy to use wizard that lets you easily create MSI packages. 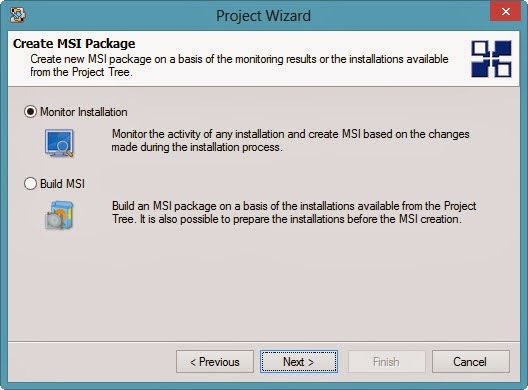 You can create or convert any traditional setup file to MSI packages in two easy ways: By manually creating a project and configuring the MSI package using its inbuilt visual editor, or use Live Monitoring technology that automatically generates MSI package for you. System with administrative rights, running almost any latest copy of Windows. .NET Framework 2.0 or latest. 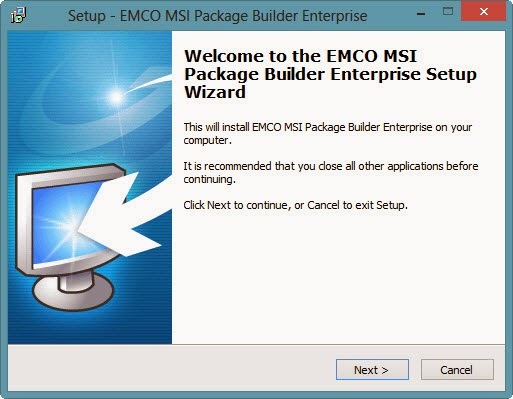 Creating MSI packages through EMCO MSI package builder is pretty straightforward. 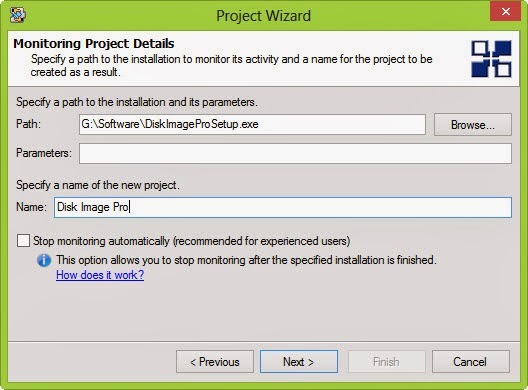 As soon as you start the application, project wizard will automatically pops out. This is quite fast and handful to automate MSI packaging using Live Monitoring. 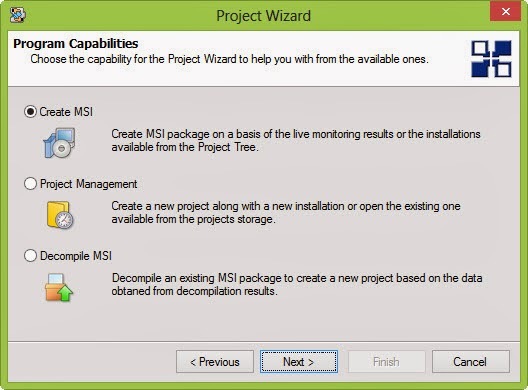 You can start converting any traditional setup files into MSI packages using this wizard. From the figure above, you’ll see the details about how to proceed further. As of now, click ‘Next’ to customize program capabilities. You’ll need to select ‘Create MSI’ option by clicking on the radio button to simply create MSI package of any executable setup file. 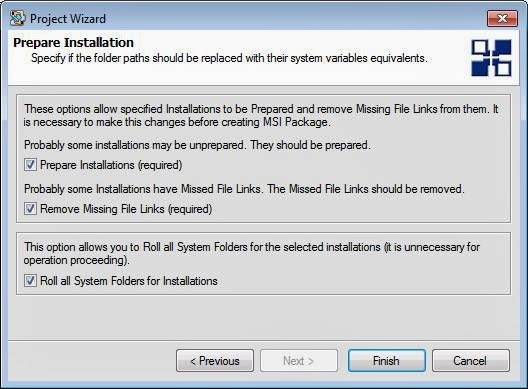 ‘Monitor Installation’ option will automate the whole process and without asking that enough. A warning message will appear and ask you to close any or all the background applications. You’ll also need to disable installed Antivirus applications as it could interfere with the packaging process. On the next screen, you’ll have to define the path of your targeted application setup file. You can choose to name this project under a ‘Specify a name of the new project’ field. Next screen constitutes bunch of options and fields to customize various aspects of how the application is packaged. At last, few more options will presented with an option to finish MSI package creation process. The application will automatically launch installation process for the targeted application as soon as you click on ‘Finish’ button. Once the setup file is converted into .msi package file, you can copy and paste them into any machine over network and perform a silent installation. The whole process seems so easier, isn’t it? EMCO MSI Package builder comes in three version: Starter, Professional and Enterprise edition. You’ll get fully featured software to explore it out for 30 days at no cost after which, choose your preferred version to purchase as your budget allows. Free utilities were also available for same if you’re running very low or have only handful PC’s to install packages remotely. 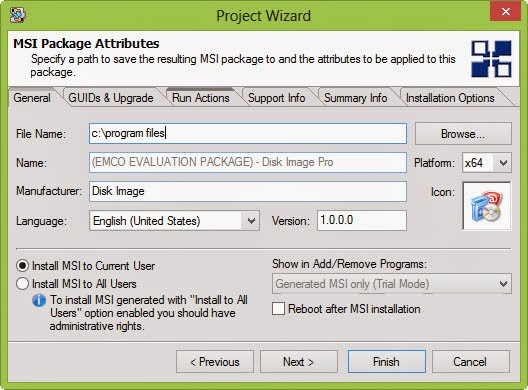 Though, EMCO MSI Package builder would be best for organizations having hundreds or even thousands of PC’s. What Does Your Current CRM Offer You? When it comes to customer relationship management, CRM software is used to help managers evaluate customer interaction, access very important business information, automate sales and organise vendor, employee and partner relationships. It has a very complex set of duties, so CRM software must be fairly complex in nature. The question is - what is your current CRM software offering you? Can it be enhanced and improved upon by a rival programme? There are a lot of different choices out there - you don't have to stick to a poor CRM system if you don't feel like it is offering you enough. A company like Junari CRM is able to give customers the software necessary to manage a business in the most efficient way possible. Modern CRM software is designed to help businesses meet the fairly extensive goals of customer relationship management, say the experts at Webopedia.com. The very best software is scalable, allowing a business owner the chance to expand along with their customer base. It can help you to discover important business opportunities and essential customer insights. In fact, if your current CRM software isn't helping you to do any of these things, you are advised to update it with a better piece of technology. For those looking to streamline their business operation or personalise their customer service techniques, a top quality CRM system is invaluable. Predictive analytics and state of the art analytical engines can evaluate your customer service history and then suggest areas for improvement. The very best CRM software can also be used to manage business contacts, clients, sales leads and important contracts. When it comes to contemporary CRM software, current trends appear to be moving towards small businesses. Lots of very affordable, web-based programmes are now available to managers who do not wish to invest in an overly expensive or complicated system. It is possible that small businesses even have more to gain from the use of CRM software than larger ones. According to the experts at 99 Designs, CRM software automates and streamlines customer service processes, imposes new disciplines on sales forces and gives a manager increased visibility. It gives smaller businesses the tools necessary to make more efficient decisions, or at least it should if you have a quality CRM programme in place. It is worth considering a CRM product from a company like Junira CRM, if your own software doesn't appear to be pulling its weight. It is important to consider the whole cost of installing a new CRM system - this is why it's essential that you find a provider that is dependable and good value for money. 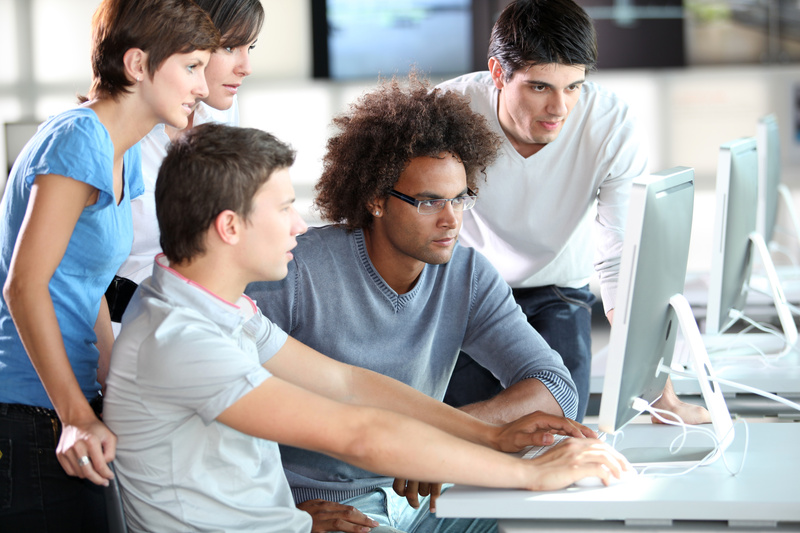 It will cost you extra money to train a team in the use of top quality CRM software, say the experts at TechTarget.com. If you do not train your staff, you risk missing out on most of its advantages. All sales, marketing and customer service teams should have access to the same customer data and information. Fortunately, CRM software is available in a wide range of forms and manifestations. These days, you can buy on-premises software that resides inside your own corporate firewall. Or you can buy a web based system that works via an independent CRM host - it is accessed online, over the secure service of a chosen supplier. It is important that you consider your options carefully, before you make your choice. Rosette has been a software specialist for eighteen years.She recommends Junari CRM for top quality customer relationship management software.She can usually be found installing company networks and programmes, or advising clients on how to maximise their network potential. There has been a lot written about training within businesses, and generally writers take the stance that this is something every employer should be investing in. By investing in training courses and days for staff, a business can help to increase the productivity and efficiency of its workforce and thus improve turnover and creative problem solving. At the same time, staff appreciate being given the chance to extend and improve their abilities and this can help them to find more work in the future or progress up the ladder. This is also what most employees believe of course. While some might moan about being sent on 'pointless courses' they will moan a lot more when they believe they aren't being given the 'opportunity to progress' or when they don't get any training. Think about how that business began. Someone will have originally had an idea, and then worked hard to turn it into a business. For software companies someone will have taught themselves to program to create their initial product, they will have learned how to promote their idea, and they will have learned how to go about protecting their intellectually property and legally setting up their business. In other words, nobody taught them and they learned all these skills without any training days or 'opportunities for growth'. They made their own opportunities, and that's what sets the entrepreneurs apart from the employees. And if you're reading this and currently thinking about what to do with your staff in terms of training, then you probably fall into the former category. How did these entrepreneurs learn all that though? Without someone to teach them, where could they have picked up these skills? Of course the answer is Google, which is pretty much an infinite resource of information that all of us can dip in to. Don't know how to do something? Then just consult Google. Google doesn't have the answer? Try YouTube. If you run a business then and you want to progress your team, then why not give them the opportunity to progress themselves rather than wasting valuable resources. Give them access to Google and YouTube, point them in the direction of the tutorials that you used, print them some instructions and guides and you should find that if they have the desirethey are able to teach themselves and improve their own abilities. There are other ways you can encourage this too. 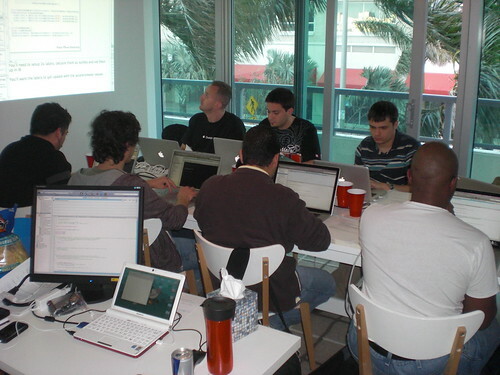 One is to give your staff projects that you know will stretch their current abilities. Ask someone who doesn't work in design, but who has shown aspirations to be a designer, to build your next website. They might complain that they don't know how or that you're expecting too much of them, but tell them they have a flexible deadline and that everything they need to know is on the web. Give them the tools they need to do the job and then let them fill in the blanks. So why is this better than sending them on a simple web development course? Why is learning from the web so much better for businesses? Well for one, it will allow your staff to learn at their own pace and in the way that suits them. They can gloss over stuff they find easy and give more attention to their sticking points. Likewise it will teach them more than just the subject they are learning – it will also teach them how to learn in a self-directed manner, how to install software and how to use Google. That kind of knowledge is much more valuable to themselves and to businesses that might employ them subsequently. Of course sometimes training courses are still necessary – you can't learn to use a forklift entirely online – but for things like web design, programming, communication and more this can be a smarter way to progress your team. The author of this post, Nancy Baker, is a freelance blogger who is currently writing for Excel Toner, leading providers of ink cartridges. She is fond of her pet Labrador, Mike, and loves to take him out for a walk in the park. You can also follow her on Twitter@Nancy Baker. Just imagine, you have waited the best part of a year to finally move into those plush new offices and instead of sharing your joy and optimism for the future, your workforce seem a little jaded. You can’t figure out why this has happened but you really need a quick fix before their work becomes affected in a bad way. If this scene seems familiar to you, maybe you can introduce a little technical wizardry into the scheme of things. Your workforce has always done right by you and now is your chance to give something back. We’re not talking about a box of chocolates each or even an extra day off, this is far more productive. We’ve got a pair of Kickstarter projects that may just put that spring back into your employees’ steps again ! If you run a busy office, how difficult is it for your employees to multitask effectively? Nowadays we put so much pressure on our workforce regarding dealing with media related tasks that it is no wonder so many of them complain about the associated stress. Twine is all about managing these issues and bringing them to your attention in a rather ingenious way. Essentially, it is a 2.5 square inch product that provides WiFi connectivity plus internal and external sensors all provided by 2 AAA batteries. It is integrated to a bespoke Cloud service and sits between you and your internet related tasks. In order to kick things off, you have to set up the appropriate triggers on the installable application and you’ll soon be up and running. Your Twine also has a set of sensors that deal with temperature, internal accelerometer, moisture and a magnetic switch function. Once you’ve installed Twine, you can play around with these sensors to set up your own automated response actions. Check out the link for more options and we are sure your ingenious workforce would absolutely love the chance to get Twine up and running in your office! Our second Kickstarter project is all about security and we know how important that is in the modern workplace. myIDkey is a voice activated, fingerprint secure Bluetooth/USB drive that manages your personal passwords online and remotely. All of this functionality in such a small package is pretty hard to fathom and we are still trying to come to terms with it. The device itself is very easy to manipulate and with the fingerprint/voice combination feature, your staff will feel very secure about their private code details. If you are interested in more of the bespoke features please check out the link, we are 100% sure that you’ll soon be placing an order of your very own! As well as learning about the latest releases in the world of IT based technology, you will be able to keep abreast of all of the news by reading some awesome blogs and guest reviews. We love this site and believe that every IT savvy employer and employee will certainly agree! Nancy Baker is a freelance blogger who often writes for Office Move Pro, a Canada based company having over 50 years of experience in relocations, installations and project management. She enjoys travelling and spending time with her family. You can also follow her on Twitter @Nancy Baker. There are just some things that are always a constant in life; the pursuit of luxury happens to be one of those things, especially when it comes to automobiles. Today’s luxury rides demand equally luxurious accessories - accessories that are far beyond the average cup holder or navigation system that you’d find in most ordinary cars. 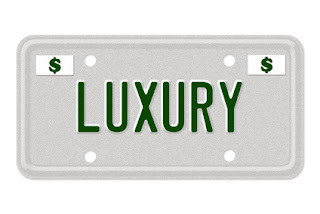 If you think luxury cars are passé in a weak economy, you’d be sorely mistaken. In fact, luxury car sales are surging ahead for late 2013, with Mercedes-Benz tallying up a nearly 2,500-unit lead over BMW for a total of 215,056 vehicles, according to Forbes. Drivetime auto loans in Denver might be out of the question for cars like the Bentley Mulsanne, but you’re sure to find an affordable deal with reasonable rates on a broad range of luxury vehicles. In the Bentley Mulsanne, even common music players like the iPod get to ride in supreme luxury. The twin-turbocharged flagship offers a leather-lined wooden drawer situated in the center of the dashboard that easily accommodates iPods and other similar gadgets. In most other cars, you're lucky if you even get an iPod cable coming from somewhere on the dashboard, let alone a dedicated port somewhere in the center console. The Ghost may be considered the entry-level Rolls, but it's still packed with plenty of luxurious gadgets and features that are a cut above most other luxury vehicles. If you happen to get caught in the rain while riding in your Ghost, you can rest assured knowing that a pair of full-size golf umbrellas reside within the sills of each front door. The umbrellas emerge from their storage place with just the push of a button, allowing you or your chauffeur to enjoy Teflon-lined protection from the elements. As an added bonus, the storage compartments have built-in drains to carry away any leftover water, leaving the umbrellas nice and dry for next time. Instead of an ordinary keyless entry fob, each Aston Martin comes with an “Emotional Control Unit,” a special key fob decked out in stainless steel and piano black trim topped with a polished sapphire crystal. According to Aston Martin, the ECU is also linked to its “Easy-Start” ignition system which lets you fire up the Aston without depressing the unit. But be warned – not only is it a notoriously slippery device to handle, but losing it could put a $1,500 dent in your wallet. Audi turned to Bang & Olufsen to develop its advanced 1000-watt 14-speaker sound system. It’s not just the fact that each speaker is driven by its own amplifier that’s worth noting. The high-end B&O sound system also features “acoustic lenses” – 180-degree tweeters that automatically pop up from the A-pillar whenever the stereo’s on and retreat from view when turned off. The Advanced Sound System is a $5,900 option on the S7 and other select Audi models, according to information from Audi.